NCDC is now offering implant and other complicated Periodontal procedures done by our board certified Periodontist Dr. Mina Ebrahimi-Daryani. Click here to learn more about Dr. Malik! Click here for the Online Patient Registration Form. Click here for the Online Medical History. Click here for our available Financing. We always welcome new patients and we would love to have you as part of our dental family. We participate in all major dental health insurance companies. 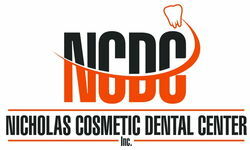 If you do not have dental insurance please ask about our payment plans and discounts.